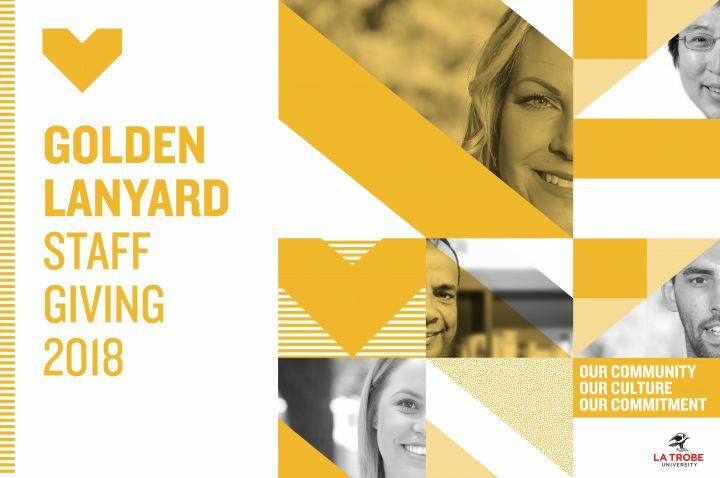 The Golden Lanyard Staff Giving Program enables La Trobe Staff to make tax-deductible donations to assist students to access a quality education at La Trobe. Staff who contribute receive a Golden Lanyard in acknowledgement of their support. La Trobe staff are some of the most generous and committed in the country. In 2014, the program took the number one place in Australia for university workplace giving. Participation sends a powerful message to our students and our community that we care. We care about providing life-changing opportunities for students and are committed to building better communities. Since 2013 staff have raised more than $240,000 to support students from disadvantaged backgrounds. Proving that together we can make a difference. Staff can join the Vice-Chancellor by making a one-off tax-deductible donation online or make an ongoing commitment with a fortnightly pre-tax donation from your pay.